In this post, I’d like to show how you can transfer video clips filmed with your iPhone to Mac without using iTunes. If your USB cable is at hand, it is quite easy to get iPhone videos transferred over to your Mac. 1. Launch Image Capture found in the /Applications/ folder. 2. Connect the iPhone to the Mac via cable. 3. Locate the video you want to copy over from Image Capture and click on it, select multiple videos by holding the Shift or Command key. 4. Pull down the Import To menu and select someplace meaningful like the Desktop. 5. Click Import to copy the video to the Mac. In case your cable isn’t available, you can still transfer video clips from iPhone to Mac. The tool you need is Wireless Transfer App. 1. 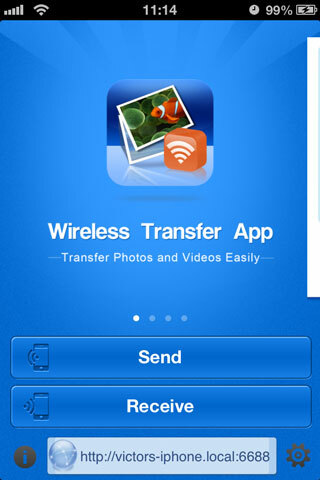 Download and install Wireless Transfer App onto your iPhone. 2. Connect your iPhone and your Mac to the same WiFi network. 3. 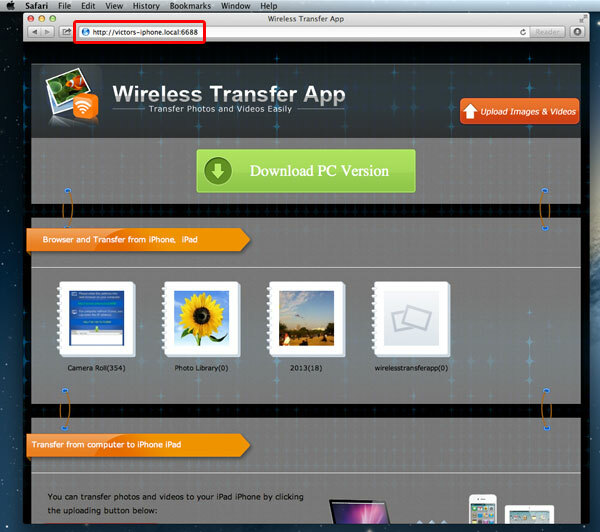 Run Wireless Transfer App on your iPhone. 4. Find the http address at the bottom of the screen. 5. Open a web browser in your Mac and type the address exactly as that appears on your iPhone (including the colon and the following port number). 6. The browser will list all the photos and videos in your iPhone. 7. Select and download the videos you want to transfer to your Mac.